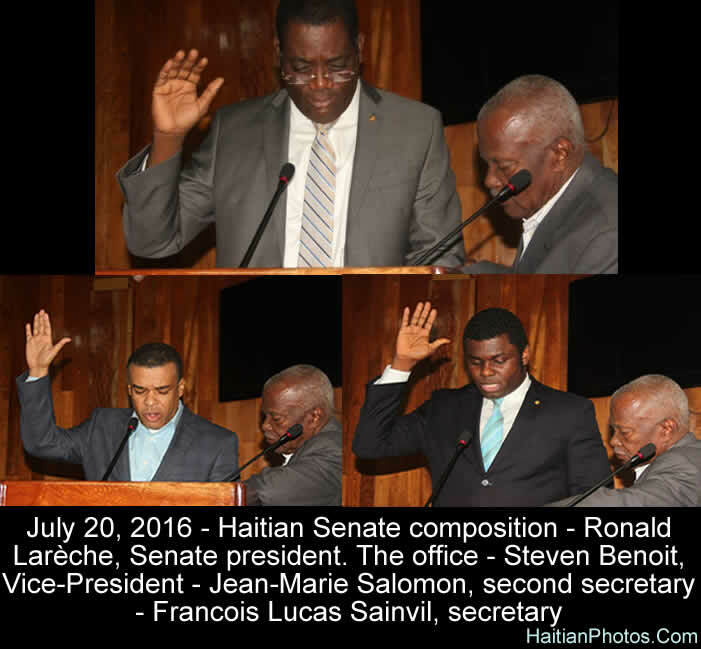 Senator Jean Marie Salomon is now selling a new image for himself. He wants to be the new anti-corruption Senator in the country. The Senator of South came out strong this week to denounce some the behaviors of his colleagues as well as President Jocelerme Privert he feels are reprimandable. Among the things he mentions are for instance problem with government vehicles and the manner in which they were distributed to the Senators, Fritz Carlos Lebon not providing financial report on the management of the Senate, some Senators receiving preferential treatments. 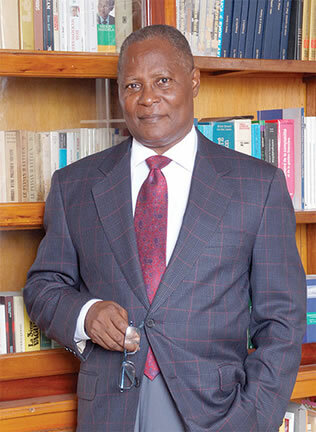 He also got on the President's case with the nomination of Police Chief Michel-Ange Gedeon without consulting with him, contrary to what we have learned from President Jocelerme Privert. The Haitian Senate joined its force to the increasing number of people in the population trying to stop the election scheduled for January 24. The Senate voted a resolution last night demanding that the CEP stop the election process. 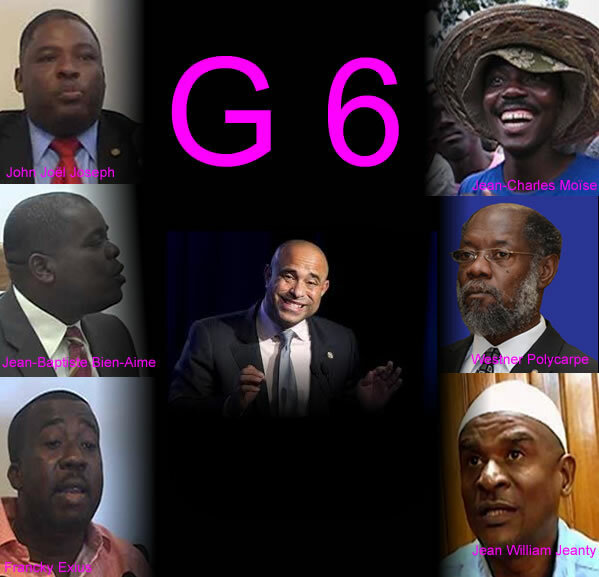 15 Senators voted in favor of the resolution, 5 voted against and no abstention for the resolution which will be handed to President Michel Martelly by January 21 to be published in the newspaper "Le Moniteur". Sena Ayisyen an mete fòs li ak kantite moun nan popilasyon ki ap eseye sispann eleksyon ki pwograme pou 24 Janvye an. Among two well qualified candidates for Haiti Senate seat, one must wan. The Senator of Nippes, Jocelerme Privert, became President of the Senate in a competition with Senator Yuri Latortue. He will be accompanied by Senator Rnald Lareche of Nord-Est who was elected as vice-President of the Senate, Senator Fritz Carlos Lebon, Sud, elected as treasurer, Senator Francois Lucas Sainvil as First Secretary and Steven Benoit, Second Secretary. As the 14 Senators were swearing in, 2 Validation Commissions were formed to study the records of newly elected officials. 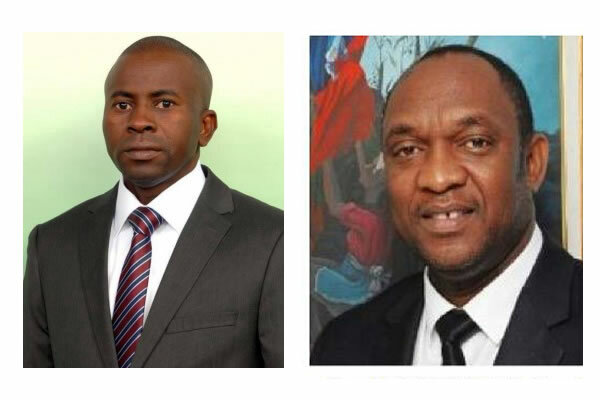 The Validation Commission made the recommendations to defer the validation procedures for two of the newly elected Senators, Youri Latortue and Jean Renel Senatus, until the CEP give adequate explanation on their method of calculation. The two Senators took positions to defend their win and managed to convince the Assembly to validate them. On Tuesday, January 12, 2016, fourteen newly elected Senators were sworn and received their scarves at the Senate of the Republic in the presence of the Andris Riché, the President of the Upper House. In Haiti, the Senate has 30 members, three per department, who are elected by popular vote to serve 6-year terms and one-third of the Senate is elected every two years. However, it has been operating with only 20 of 30 seats filled due to cancelled elections. The 14 new elected Senators will join 6 others who will be elected in the next by-election. The 'bureau of age' is composed of Senator Andris Riché, and the two younger Senators Antonio Cheramy and Jean Marie Solomon. Sophia Martelly, First Lady of Haiti, has failed to become eligible for a bid at a senate seat in Parliament. The Electoral Council has denied her candidacy on the grounds of nationality and administrative clearance issues. Electoral judges claim the First Lady did not give up her U.S. passport, the final step required before she can run for the senate. She has surrendered her foreign passport, also a legal and constitutional pre-condition, but is a hold-out on turning over her U.S. passport. Born in the U.S., she must become a naturalized citizen of Haiti in order to legitimize her candidacy. Also at issue is lack of clearance from the Administrative Court auditors. As chairwoman of a presidential commission her position has entailed handling public funds drawn from the general fund. 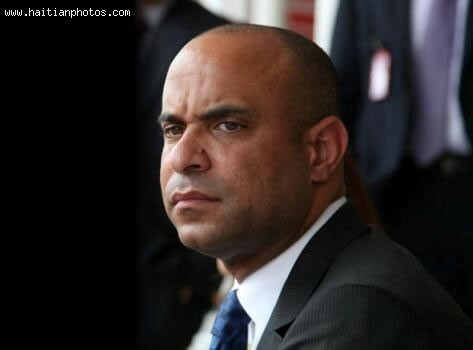 Will Laurent Lamothe receive Discharge from Senate to run in Next Election? If that is the case, would you say that this is not fair to the opposition who can not campaign until then? The Martelly-Lamothe may have the advantage at this time, however, it may not hold for long. Just think for a moment that Laurent Lamothe is the chosen person for Martelly, the one that Michel Martelly will support in the next election to replace him. 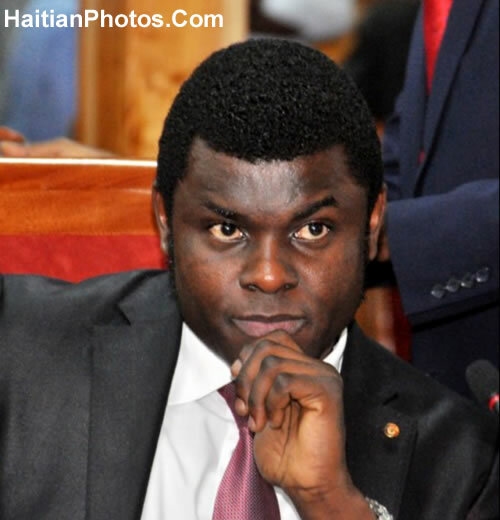 Eske nou konnin ke Premye Minis Ayisyen-a, Laurent Lamothe, pa kapab mete print pye li nan Sena Ayisyen-an. Ah! Dapre sa ke mwin konnin, tout gro neg ke premye minis Laurent Lamorth ape fe__-a li konnin ke li pa kapab ale nan Senat pou li pa kite plim. Ebyen, neg yo nan Sena-a di, depi Premye Minis Laurent Lamothe vini nan Sena-a, yo ape transfome li nan yon "Interpelasyion" et pi yo tou profite pou yo bali yon "Vot Non Konfyans", pou yo mete li Atè. Neg yo reproche Premye Minis la pou anpil bagay. Yonn, yo di ke yo voye releminis Lamothe plizyer fwa, li pa janm vini. De, li change plisyer minis nan cabinet li, san Sena-a pa bay dison li sou yo.